ust as we’ll be navigating our way through the race using nothing but a compass, map and a trust in our designated navigation point person; Outdoor Mindset’s Guide Program has great hopes to inspire our Guides to leverage their own experience in facing a neurological challenge to help navigate OM Travelers through a new diagnosis. While I’ve participated in a few races in the past, for me, the Moab Adventure Race that Team Outdoor Mindset will be competing in will be the most difficult challenge to date, by far. Over 50 miles of kayaking, mountain biking, trekking, rappelling and navigating takes another level and different style of training than I’m used to. However, as will be true during the race; when I’m on my last few miles of any given training day, what pulls me through is thinking of the many people we hope to serve through our Guide Program that find it difficult (or impossible) to enjoy these sports due to the limits of their neurological condition. Huh...while we think it’s pretty cool, the details might not be the most engaging topic of conversation. So in the end, I included it all; why not cover what I was thinking when writing about our upcoming Adventure Race and let you pick the story that resonates. 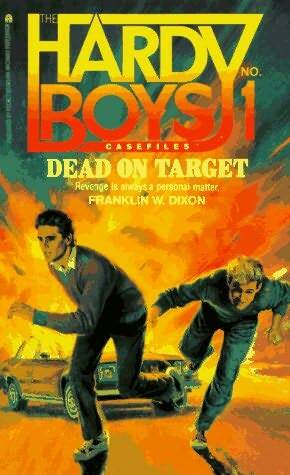 Come on...don’t act like you’re not a fan of the Hardy Boys. We'll be tracking our progress, snapping photos and filming video the whole way. So, stay tuned-in to this blog, Facebook and Twitter to follow along. It's going to be a blast and it's the first of many events that we'll be participating in this summer.